River: Spin, Fly, and Centerpin float fishing from Fall through Spring for Salmon, Steelhead, and Brown Trout. Lake: Full Service Charter Fishing Spring through Fall on the Eastern Basin of Lake Ontario. 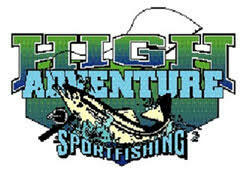 High Adventure Sportfishing is full time professional charter and guide service based in Pulaski NY. Lake Ontario’s Eastern Basin has developed into one of the finest fisheries in the country. Putting this together with over 30 years of experience pursuing Trout and Salmon insures you a day of fishing you’ll never forget. Our lake Ontario charter boat is moored in the Oswego Marina at the mouth of the Oswego River. This is one of Lake Ontario’s most productive ports. We have incredible spring trout and walleye fishing, plus the advantage of being close to deep water gives us easy access to steelhead and offshore salmon fishing. We have some great Hotels right by the marina and excellent food as well. In 1906, the exclusive hunting and fishing lodge known as the “Oswelewgois Club” was incorporated. 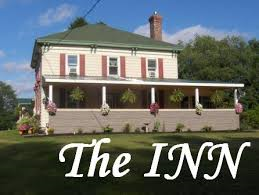 This spacious, turn-of-the-century Lodge has been refurbished and is open for the public to enjoy! We offer eight spacious guest rooms, a huge great room with fireplace, a TV/Reading room, and two screened porches overlooking the grounds. We are located directly on the beautiful Salmon River Reservoir; convenient for fishing, canoeing, boat launching, snowmobiling, and just enjoying. CrossRoads Inn & Cabins was designed as a four season destination for outdoor enthusiasts of all ages. Our newly constructed post & beam cabins & refurbished turn-of-the-century lodge, all located on the pristine snowmobile system, offer something for everyone. Family vacationers can enjoy the wonder of the Salmon River Falls, the splendor of the fall colors, boating or canoeing the reservoir, driving their own dog sled, mountain biking, hiking, picnicking or just relaxing in an unspoiled outdoor environment. Snowmobilers can access hundreds of miles of groomed trails from our doorstep and experience why this has become the destination of choice for snowmobilers from NY, PA, NJ, OH, MA, and beyond. Cross country skiers can tackle professionally groomed trails nearby and hunters will enjoy some of the best whitetail deer, grouse and hare hunting in the Northeast. Anglers can match wits with rainbow, brown & brook trout as well as black crappie & large mouth bass. A short, scenic drive brings fisherfolk to the world famous Salmon River where trophy Chinook, Coho, and Atlantic salmon share the waterway with the spectacular steelhead. 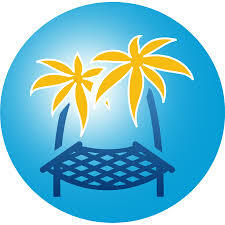 We’re a Full Service Travel Agency. Explore the many unique travel opportunities we have to offer or simply call your personal travel concierge. With member only prices backed by our 150% Best Price Guarantee, what’s stopping you? A snowmobile club located on east shore of Lake Ontario, where lake effect snows blanket the area and dedicated members groom the trails smooth! Whether you’re planning a family reunion, looking for good deals on flights, or dreaming about an exotic cruise, let Condominium Travel Club. Get out there and live a little! You’ve earned it! To make an appointment to discuss: (315) 221-9455. Also, visit our Pulaski Tickets and Tours Travel Agency business directory listing.